Every year on March 20 the Seychelles joins other French-speaking countries to commemorate ‘La Francophonie,’ a celebration of the French language and for this island nation a reminder of its historical links to France. In this week’s Buzz SNA presents six historical "liens" between France and the 115 islands archipelago in the western Indian Ocean. In 1742, Bertrand-Francois Mahé de La Bourdonnais, the French governor of neighbouring Mauritius, sent an expedition to the archipelago. Lazare Picaut, the captain of that expedition, set foot on an island, which he named île d’Abondance, now Mahé. A second expedition was organised in 1744 and Lazare Picault landed on the opposite coast, near the place where the town of Victoria is located. He renamed the archipelago the La Bourdonnais Islands. A Street in Victoria – the capital city – is named after the governor. Commander Corneille Nicholas Morphey was sent in 1754 to the the islands. Commander of two ships, he was sent to claim the islands. Morphey renamed the largest island Isle de Séchelles in honour of Viscount Jean Moreau de Séchelles, Minister of Finance during the reign of Louis XV (later Anglicised as Seychelles). This name was later used for the island group, whilst Mahé was again used for the largest granitic island. Morphey took possession for the French king and the French East India Company on 1 November 1756. The Catholic faith was brought to Seychelles by the first French settlers but was formally established with the arrival of the Catholic priest, Léon des Avanchers in March 1851. 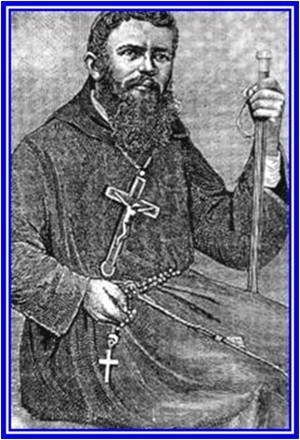 Lèon des Avanchers, was a Capuchin priest of the Province of Savoy, France. News of his arrival spread like wildfire. People flocked to hear him preach, receive the sacraments and hundreds were baptized. By 1853, the priest had already build a small wooden chapel in Victoria. The mission officially became the Apostolic Prefecture of Seychelles, which was promoted in August 1880 to Apostolic Vicariate of Seychelles. Twelve years later, onJuly 14, 1892, Pope Leo XIII elevated the Vicariate to the Diocese of Port Victoria. Pierre Poivre -- a French naturalist who was the administrator of Mauritius and La Reunion (1767 to 1773) -- is credited with having introduced many spices including cinnamon to Seychelles. In 1771, at the risk of the death sentence, Poivre had personally undertaken a couple of expeditions to the Dutch East Indies (today Indonesia) and managed to smuggle out samples of spice plants, and most important of all cinnamon seedlings, which he brought back to Mauritius. On October 2, 1972, a bust of Pierre Poivre was unveiled in the grounds of the then-Supreme Court building in Victoria to commemorate the 200th anniversary of the introduction of cinnamon to Seychelles by a man who never even set foot on our shores! Jean-Baptiste Queau de Quincy took command of the colony in 1794. A wily man, he used skill and expediency to steer Seychelles through the years of war. Queau de Quincy was the last French commander of the Seychelles, when in 1794 a squadron of three British ships arrived and the French had to surrender the islands to the British Commodore, Henry Newcome. Quincy village in the north of the main island of Mahe, Quincy street in Victoria and Maison de Queau de Quincy – the headquarters of the Ministry of Foreign Affairs – are reminders of the French man. Alexis-Marie de Rochon, known as Abbé Rochon, was born in Brest, France in February 1741, and died in Paris on 5 April 1817. He was a French astronomer, physicist and traveller. He worked on lens design and crystal optics, inventing the Rochon prism polariser. Rochon came to Seychelles in 1769 and set his camp by a river in the central of Mahe which today bears his name. Two hundred years after his expedition to the islands, the first dam was built and named Rochon dam.